Situated in Northampton town centre, The Lodge caters for clients from rock bands to corporates. 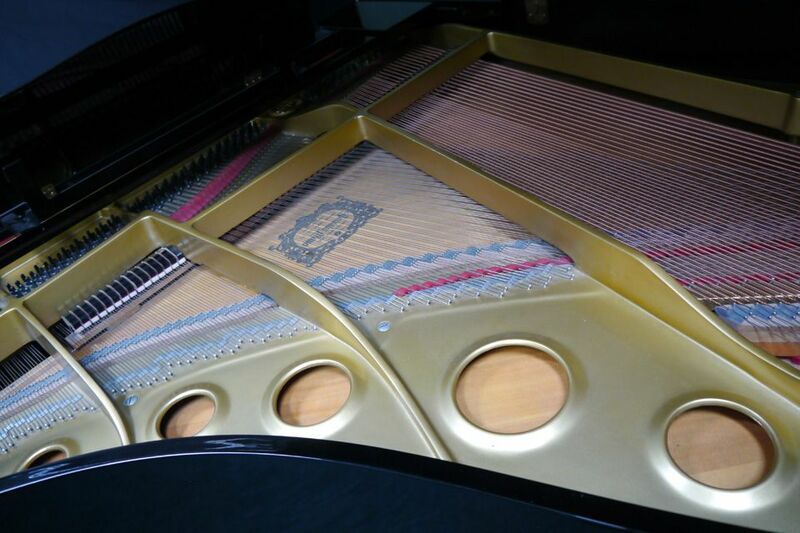 With a huge live room, vintage equipment, a grand piano, sound-proof booths and free accommodation, the Lodge Recording Studio provides a unique and chilled-out environment. Our experienced engineers and producers can help you get the results you want all for just £250 per 10 hour day. Call us on 07915610735 for a chat. If you're a band looking to record a single, E.P, or full album, The Lodge is the place to come. 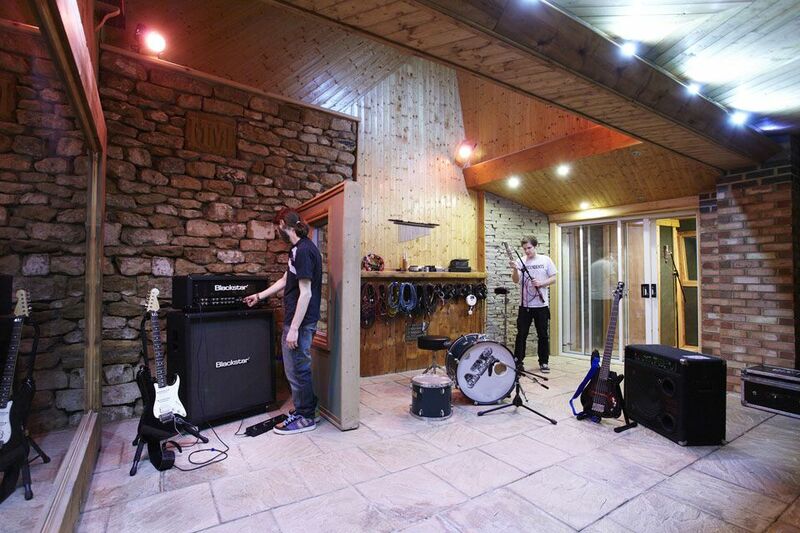 At The Lodge Recording Studio, you will find talented people with experience, skills, creative imagination and brains, plus all the gear you are likely to ever need to get the best possible results recording a full album for release. From just £200 per day. Buy one our studio experiences for yourself or as a gift. If you dream of starting a musical career or just want to have some fun with friends, one of our studio experience packages is for you. 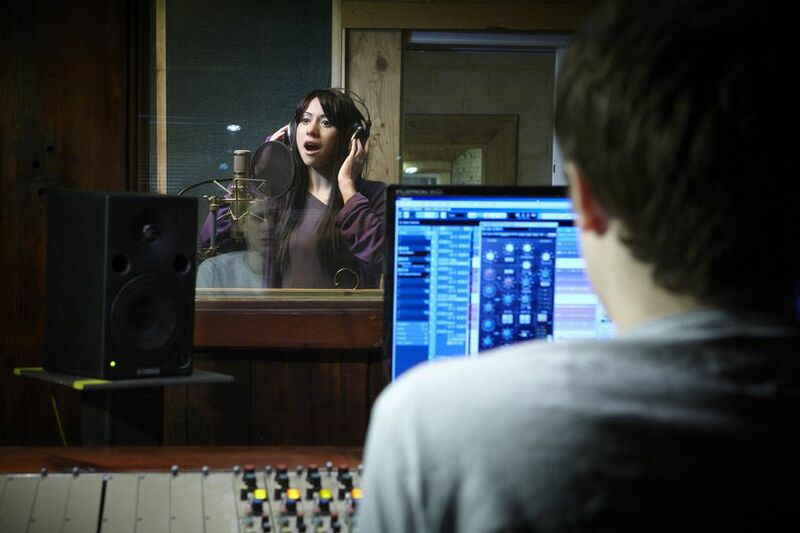 From just £50 you can experience working in our studio with a professional sound engineer. Just let us know what you want to sing and we'll get your backing track ready for when you arrive. 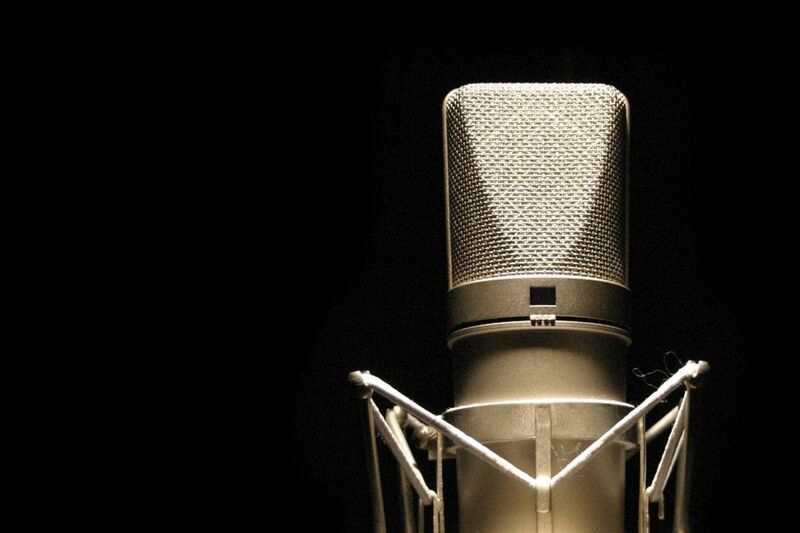 Our completely sound-proof booth, top class microphones and Source-Connect software make The Lodge an ideal environment for recording podcasts, audiobooks and voiceovers. Past clients include The Simpsons and the BBC so we have plenty of experience!